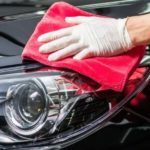 How detailing your car will help you sell it for more. Whether you enjoy the use of your car for a few months or years, it is bound to be put through its paces at some point. When the time comes to sell, for whatever reason, owners need to take a realistic look at their vehicle and calculate their asking price. Most sellers, even pre-owned dealers, will initially ask for a higher price than they are willing to settle for. Even so, owners should always do everything in their power to get as much as they can out of the deal. How Can You Sweeten The Deal? It’s all about presentation and first impressions. By treating your car to some much-needed detailing, you can help it attract more attention from potential buyers. Detailing packages vary in terms of price and services included. 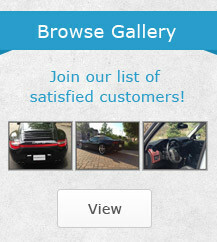 The best packages for sellers are our New Car Package and our Showroom Detailing Package. The New Car Package and Showroom Detailing Package both ensure that your vehicle will be cleaned from top to bottom – inside and out. Carpets, upholstery, and mats are all vacuumed and shampooed while windows are left crystal clear, and even the rims and tires are cleaned to perfection. In addition to all of this, the New Car Package also includes a three stage compound and polish. This process cleans the vehicle and removes scratches and swirl marks for that perfectly even finish. 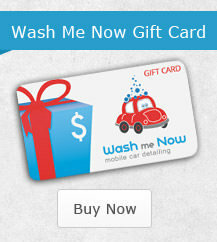 With Wash Me Now, your car will look better than ever and ready to impress potential buyers. Why Spend Money on a Car You Are Selling? Some people might argue that there is no point in investing more money in a vehicle if all you’re planning on doing is selling it. Others know that this is not the case and that a small investment can go a long way. By spending as little as $180, vehicle owners can bump up their selling price by almost ten times that amount! This is even more so when vehicle owners take care of their vehicle on a regular basis. By keeping your car clean and taking it for detailing at least twice a year, you can ensure that the value will not depreciate as rapidly as if it was neglected. Many vehicle owners think that maintenance is all about the engine and mechanical parts. This is true for obvious reasons. You cannot expect to ask for a high price if your vehicle proves problematic or has significant damage. 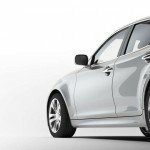 What many people don’t realize, however, is the importance of a vehicle’s aesthetic appeal. Just consider how you take the time to think about what you wear to work or a special occasion. How much time do you spend every day on your appearance? Obviously you want to look good so that you create a good impression. The same can be said for your car. When selling, you want the buyer to be so impressed by the condition of the body and interior that they will hardly think twice about the price. Another reason for vehicle owners to have their cars details is to make the sale sooner rather than later. The sooner you sell your vehicle, the better! 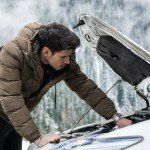 The longer your car stays on the market, the lower it will appear in certain online listings and the more people will wonder what’s wrong with it. If it didn’t sell within a short time, people automatically assume that the deal is sour, and you will receive fewer and fewer offers. Detailing your car does not need to be an inconvenience. 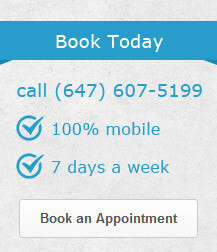 Wash Me Now serves Toronto and the GTA. Our goal is to offer you the right service to suit your needs. We will come to you so that you can go about your business while we give your car some TLC. Call Wash me Now today to book your car detailing: (647) 607-5199!